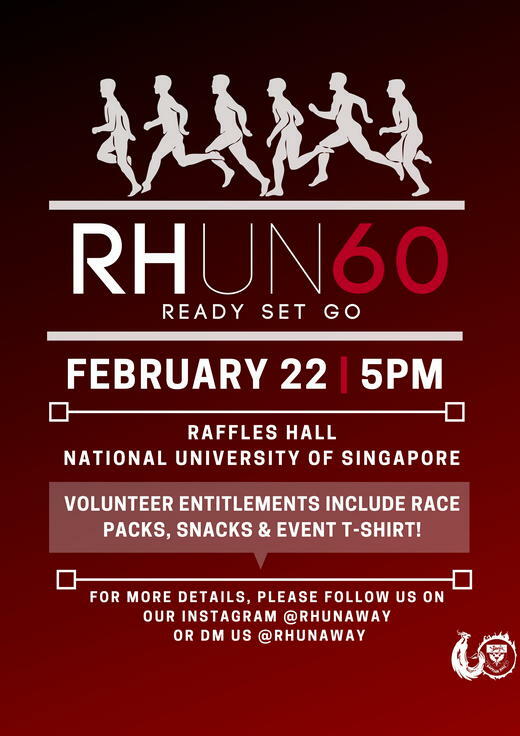 RHun60 is a 2.5km/6.0km running event organised in celebration of RH60, NUS Raffles hall’s 60th anniversary. The event aims to promote a healthy community which connects its past and present while having fun. Volunteer Recruitment for RHun60 has started! Information regarding available roles as well as entitlements can be found in the form’s description.